It’s a well-known fact that a majority of disc golf courses are housed in multi-use facilities. This is common knowledge for our community, but many other patrons of these facilities may be unaware that there are people throwing discs in the park. More importantly, those some patrons may be unaware that they are about to be or are currently walking through an area where flying discs have the potential of heading in their direction. 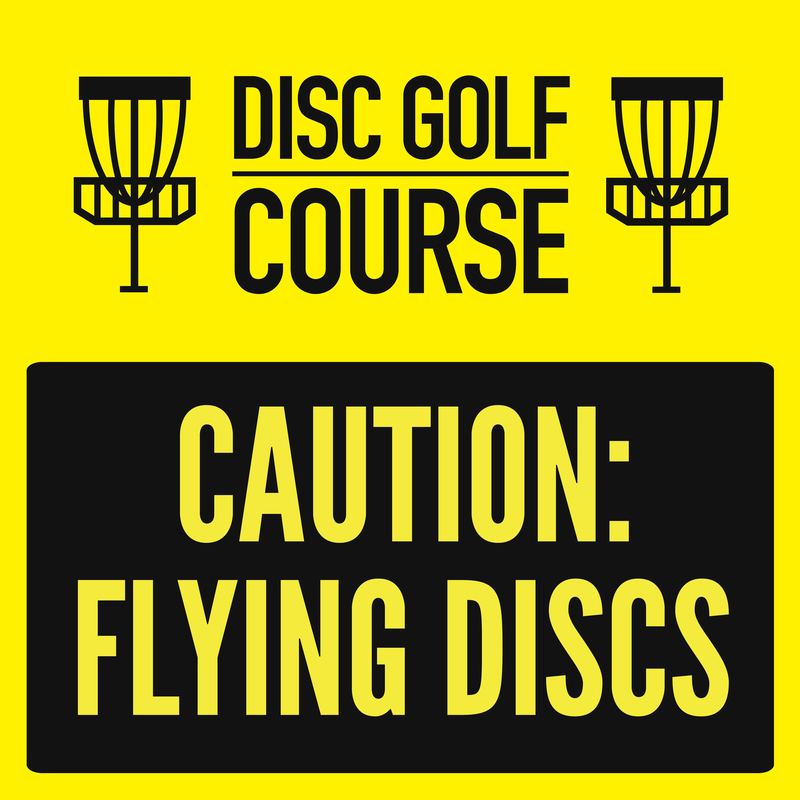 In an effort to promote the awareness of disc golf to other park patrons, the PDGA is launching an initiative to encourage disc golf courses worldwide to post Caution: Flying Discs signs in any and all areas where they may be needed and/or allowed. Fore more free downloadable course signage, visit the Disc Golfer's Code document page. The retailers listed below have partnered with the PDGA, offering discounts to those that wish to have professionally printed Caution Flying Discs and/or Disc Golfer's Code signs. If you work for or know of a retailer that may be interested in being added to this list as a PDGA partner, please fill out the form on the PDGA Events Assistant's contact page. Include your PDGA number when placing an order.